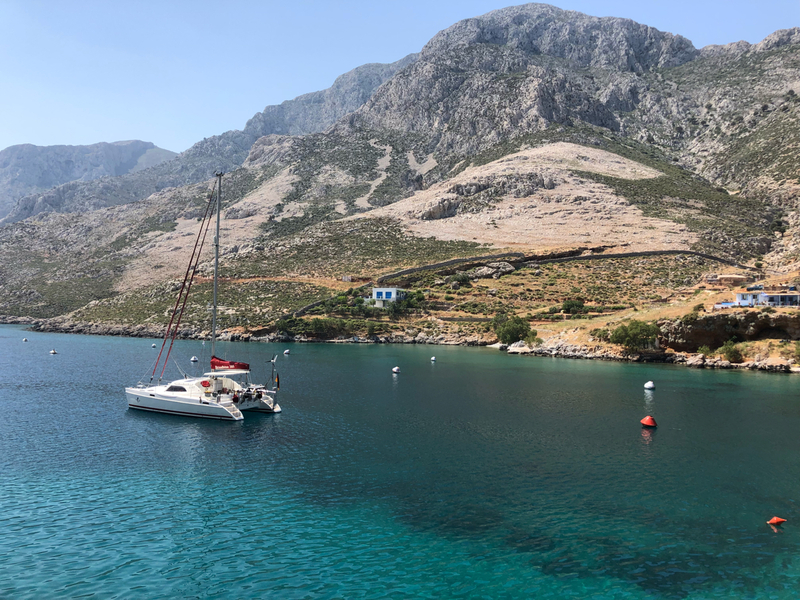 Like every season I had to return to my favorite mooring: Palionissos on Kalymnos Island. Almost alone with the hearty hospitality of Nomiki and Christos this is the perfect spot to enjoy and relax. And as every years I had to fix some electronic issues at the taverna as well. 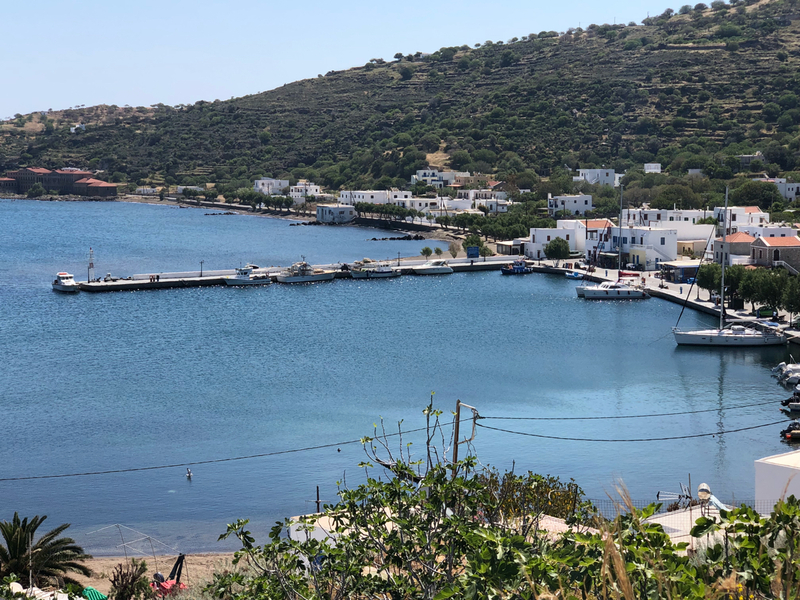 For my first trip of the season I sailed to the little harbour of Paloi at the vulcanic island of Nisyros. 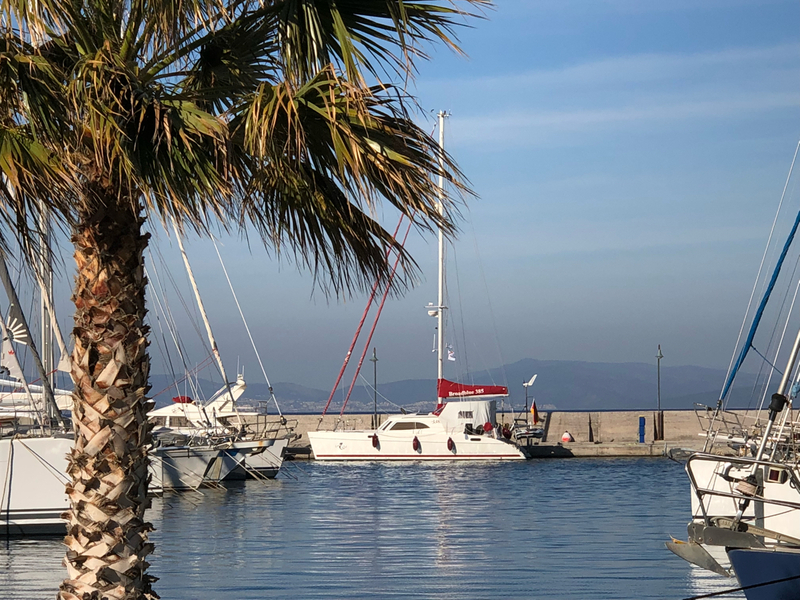 In high season this harbour is packed by boats every day, but now just very view sailing boats moor here and enjoy the tranquility of this place. Surprisingly all the tavernas are already open, so I will find something to eat. Just in time for Greek Eastern this weekend Lady Soul is back to her designated mooring spot. With great weather the season can start now. Today we sail from Pothia/Kalymnos back to Kos Marina. It with be the last sail of the season as I finally will fly home on Wednesday. It is quite challenging sailing with winds up to 31 knots. While on a broad reach with a speed of approximately 7 knots the fishing rod started off. We were not able due to the wind conditions to bring in the fishing line for about an hour. Surprisingly the fish was still on the hook when we finally had a chance to wind the rod up. So we will have a nice dinner again with self caught fish. I am quite sure that George at Psarovarka will prepare the tuna nicely tonight. We had a nice downwind sail today to Leros marina. 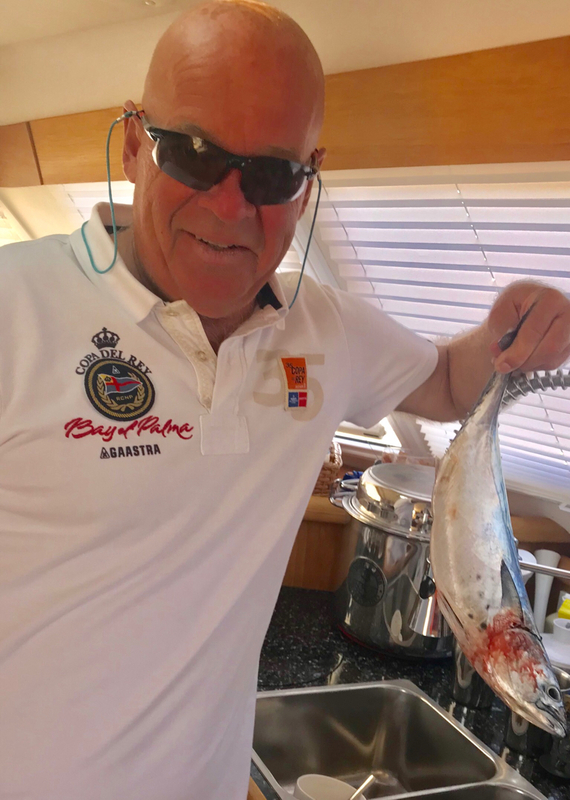 Shortly after leaving Patmos harbour this morning a 1.3 kg Tuna went on the hooks. 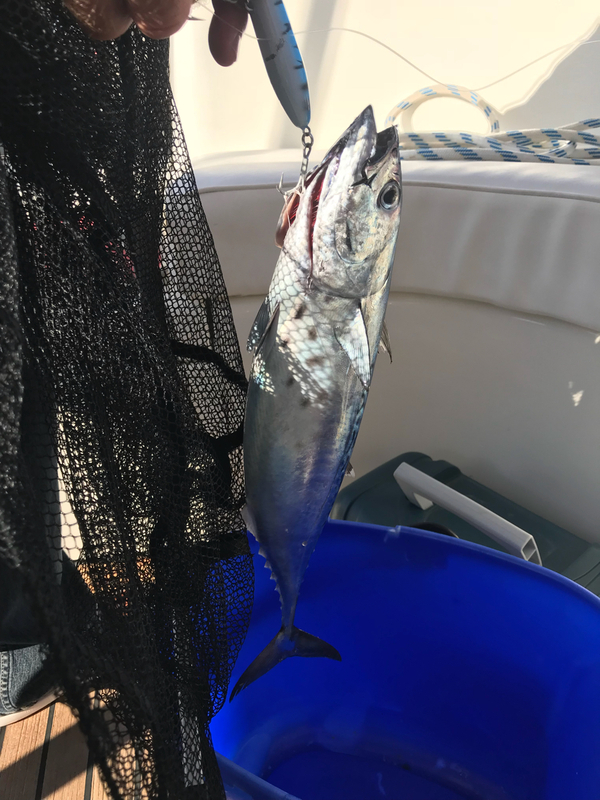 Before we went into the bay of Lakki there was another one on the rod but we didn't manage to get it in. But 1.3 kilos are quite enough for tonight. This morning we had a nice sail from Arki to Patmos in a Force 6 with a top speed of 8.1 knots. 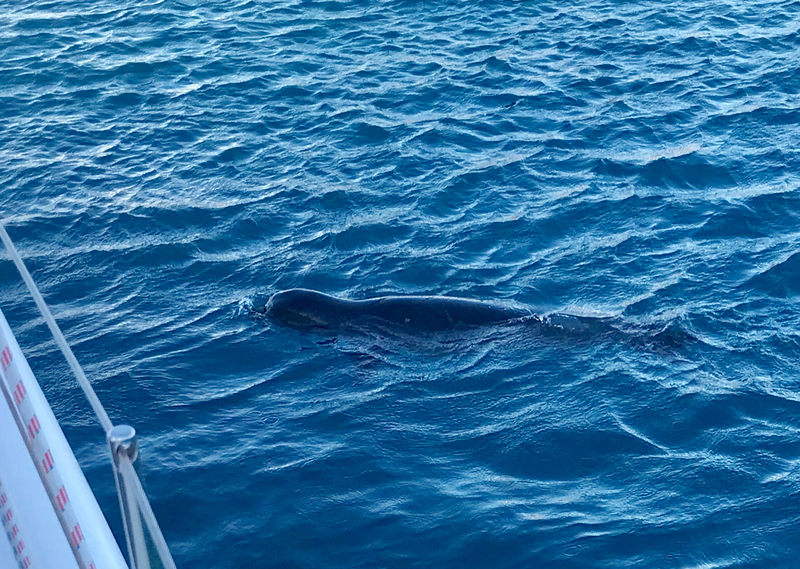 While relaxing in the harbour of Patmos we were quite surprised, that a seal came next to Lady Soul visiting us. It was the first time I encountered a seal in these waters. All forecasts for today predicted 2-3 Beaufort from various directions . So we decided to go north and sail back south in the upcoming days. We ended up in force 5-6 from north. 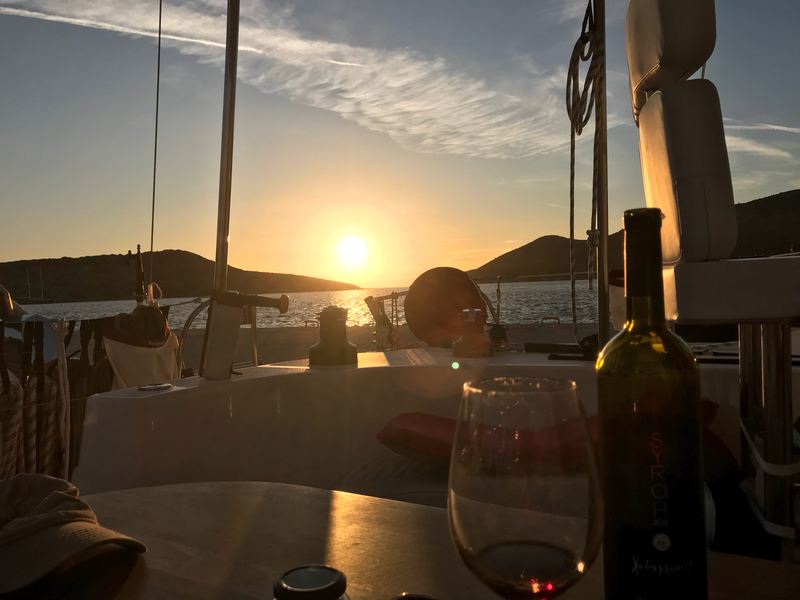 Now were relaxing in Lipsi harbour watching the sunset with a nice glass of Syrah from Kos before we will have a delicious supper at Manolis.